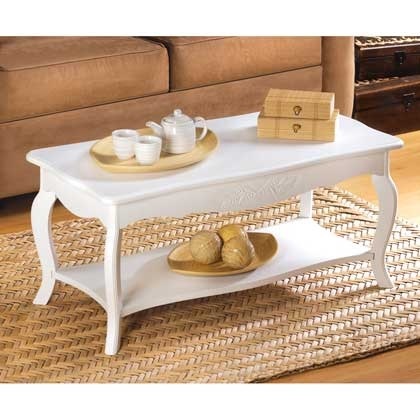 finish, this classic coffee table is simplicity itself. style romance to any surrounding! Total Weight: 19.6 lbs. 37" x 18" x 16¾" high.